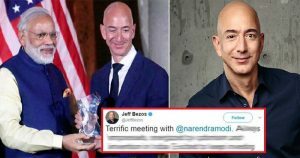 What CEO Of Amazon Tweeted About India After Meeting PM Modi Will Make All Indians Proud! 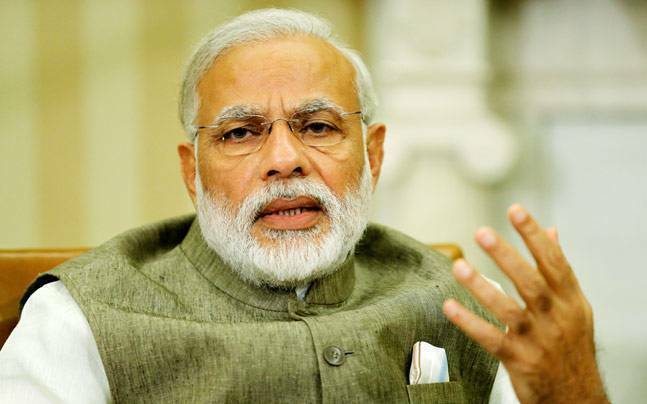 Indian Prime Minister Narendra Modi is being applauded all around the world for his great leadership skills and vision to make India one of the strongest economies in the world. It all because of the way he has presented our country in front of world leaders is commendable. Not just Indians but also foreigners are excited to listen to Modi’s speech when he visits their country. Recently, the Prime Minister held a round table conference with top 20 US business leaders in Washington DC. He cherished the stage with pride and elegance as usual and as expected many were impressed by his speech. Many big names attended this roundtable interaction and some of them included Sunder Pichai (Google), Tim Cook (Apple), Shantanu Narayen (Adobe), John Chambers (Cisco) and Ajay Banga (Mastercard). But what American online retail giant Amazon, Jeff Bezos tweeted after meeting Modi has won everyone’s hearts. Yes, it will make all Indians proud. As we all know Amazon has become one of the leading companies in India with millions of loyal followers. But, we can’t deny one fact that this American online retail giant gets stiff competition from other biggies like Flipkart, Jabong, Myntra, eBay etc. However, in a round-table interaction with PM Modi, Jeff Bezos, the CEO of Amazon, has proposed something very big, in order to leave the competitors behind. Well, he has announced that Amazon will be making investments of up to USD 5 billion in India. The main aim is to come up with more and more Amazon units in India so that speedy deliveries can be enjoyed. He even adds that India is a good market for growth and hence, investments are planned accordingly. Funds would be constantly pumped into its India units so that the rivals can be overpowered easily. More than just saying, the CEO of Amazon has given a “Commitment” of this investment. Firstly, PM Modi tweeted about his meeting with CEOs in Washington DC. Congratulations Sir, true, he is very energetic and result oriented PM. @amazon has redefined customer satisfaction. If an item is available in @amazonIN, there is no second thought. Way to go! You will be king of the world! You gonna be the king of world if you do something in India! India can offer many things! It’s good to see how the CEO has praised India for being a terrific market. Our country has a huge potential for investors but realization is important; we wish him all the best for his future ventures and assure him that he won’t regret his decision ever. What do you say about this? Let us know your views in the comments scetion below.